It's that time once again: we're in the final week of 2015 and the year is finally coming to a close. With just days to go until we welcome 2016, Andrew and I are both taking the time to put together our year-end highlight reels. Each passing year offers new growth, and 2015 was no different, despite how quickly it seems to have passed. From our adventures at home, to our journeys afar, 2015 was a year to remember. Fortunately, there's photos to show for it. The year began with a bang. As we have for the past couple of years, Andrew and I travelled to Daytona, Florida, for the world-famous 24-hour endurance race. This year, we captured what may be our best racing content yet. As one of the most grueling races in the world, the 24 Hours of Daytona offers a unique chance to capture racing through both its ups and downs, and for 2015, we inarguably captured the race's best moments. 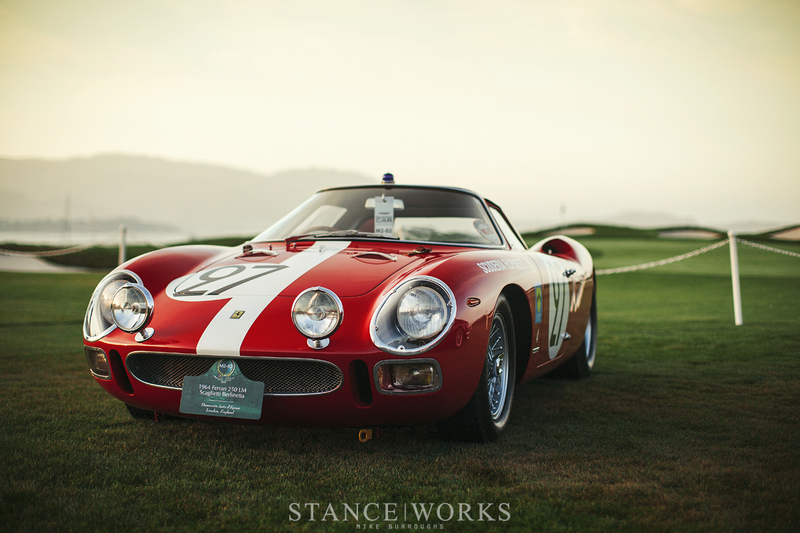 Early this year, HRE launched their new "Classic" series, and when poised with the task of finding a suitable car, we knew just the answer. After fitting Jeremy Whittle's E38 7-Series with the new "309", we went to down town Los Angeles and put our rarely-executed video talent to work. We couldn't be more proud of the result: Nightfall on YouTube, with nearly 400,000 views to date. This year saw our first motorcycle feature: Brandon Mungai's BMW R90S. Our love for all things driven extends to the world of two wheels, and for the first time, we were given the chance to share our appreciation for an important form of art and talent in the world of custom vehicles. 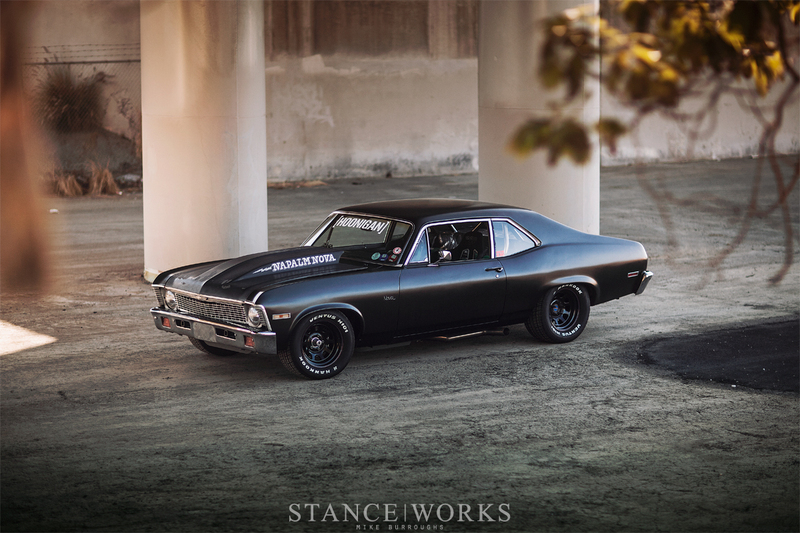 Brandon's project has since been completed, and perhaps soon, it'll make a return to the pages of StanceWorks. 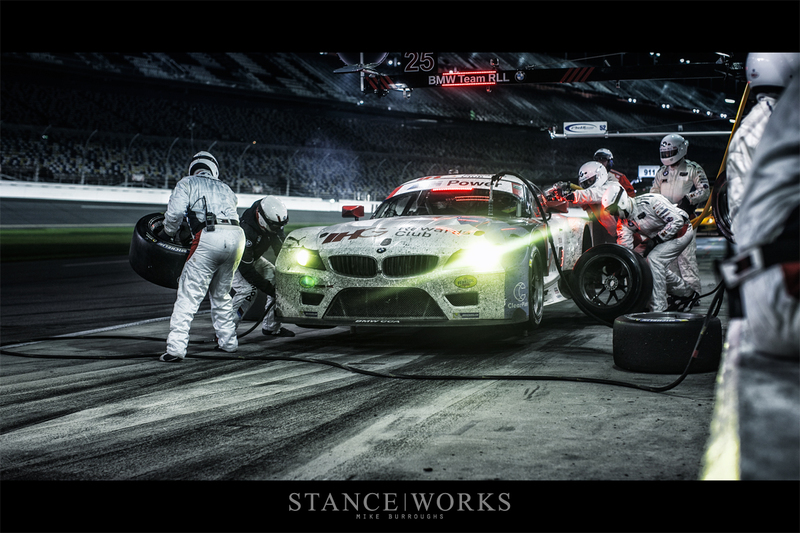 We also added to the StanceWorks fleet in 2015. 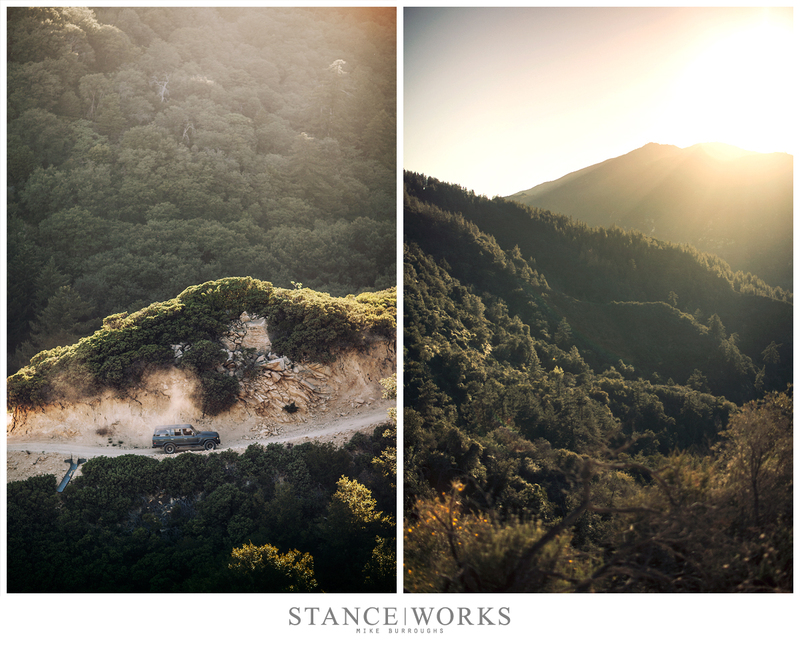 Andrew's Mitsubishi Montero and my FJ62 Land Cruiser have allowed us to stretch our legs a bit. We've been unable to leave them stock, and better yet, we've been unable to stay off the trails. Here's hoping 2016 gives us even more time in the 'Great Outdoors'. The chance to photograph newly-completed builds is certainly one of the best perks of the job, and it was Riley Stair's wild 240Z that proved to be the highlight of feature cars this year. With an LS6 under the hood, and an unbelievable amount of custom work and fabrication, this Datsun raised the bar. 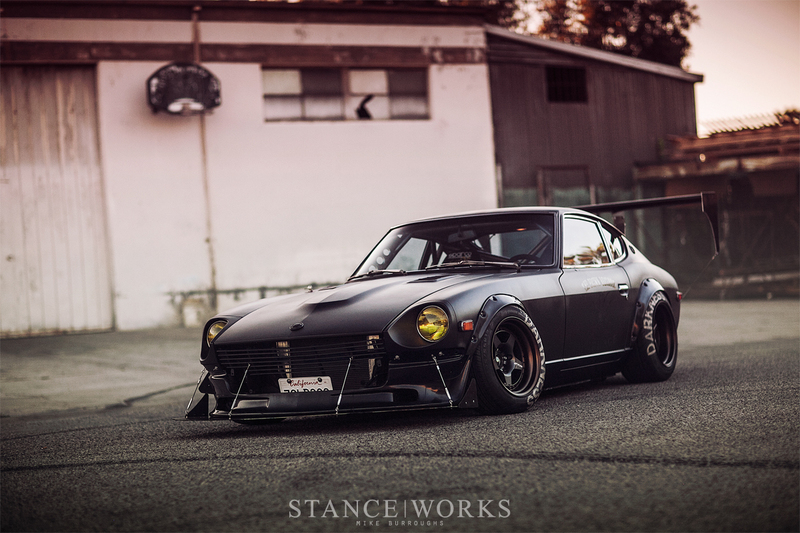 Moreover, time spent with friends, gathered around a car, is a foundational aspect of StanceWorks and its community, and Riley's 240Z has proved to be a catalyst of friendships for many. 2015 brought about a slew of new faces and introductions; it was a year of good networking and hand-shaking. Some relationships are centered around business, while others are centered around affinity and enthusiasm. After spending a day at Willow Springs with their Italian racers, it should be clear where our relationship with the Rimicci Brothers lies. 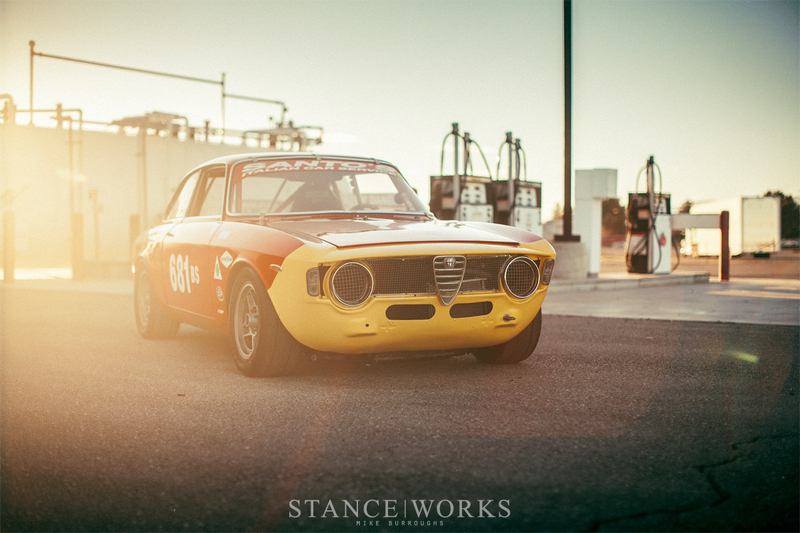 If there was one event that sparked our own need for classic racers, this was unquestionably it. 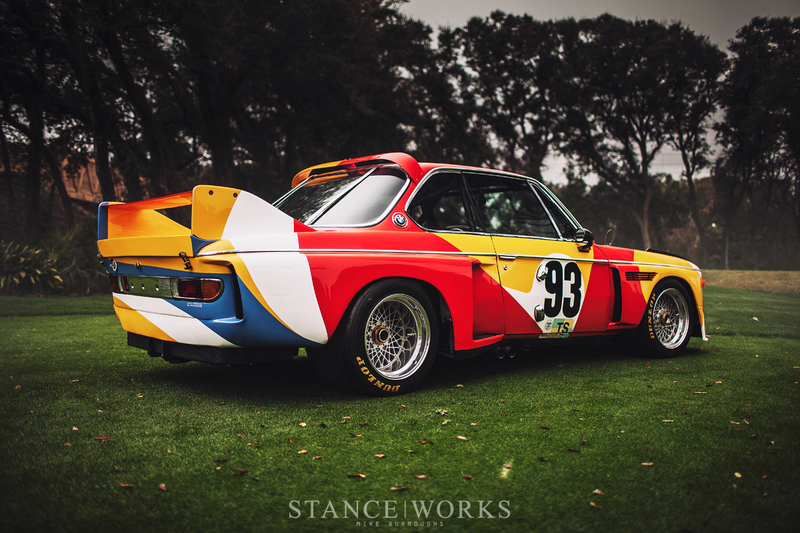 Although it came long after the initial shoot, 2015's "Shark(Nose) Week" gave us the long-awaited chance to share our photos of the Alexander Calder-painted E9 CSL. As the third Art Car we've photographed, but only the first we've shared on the pages of S|W, the Calder E9 is perhaps the most special car to grace our homepage so far. Better yet, the Calder E9 was only one of many amazing CSLs to make up the year's most packed week of content. Perhaps there's a theme with flat black... Following Riley Stair's Z, another one of 2015's top feature cars was Brian Scotto's HOONIGAN "Napalm Nova," which was finished not too long ago during a stint of the Hot Rod Power Tour. It's the car's undeniable character and charisma that make it something special, and as far as features go, it would feel unfair to exclude it from the highlights of 2015. During our annual week at Monterey, we're often present for something unique at BMW's hillside villa in Pebble Beach. This year saw the world unveiling of the CSL Hommage R, a race-inspired redux of the forward-thinking CSL Hommage. The car's in-person presence is unparalleled, and in "race trim," the CSL Hommage R is undeniably a concept car for the history books. Monterey Car Week also offers a chance to see cars of a bit more subdued nature. The early hours of the Pebble Beach Concours d'Elegance are, in our experience, exclusively cloudy and rainy, but this year was different. For the first time in our history of attendance, the sun pierced through the clouds, offering a once-in-a-lifetime setting for some truly beautiful photos. My few short minutes spent with this 1964 Ferrari 250 LM Scaglietti Berlinetta made for the best few short minutes of the morning, just moments before the crowds rolled in to surround the classics. Although I can admit a bias, my favorite moment of 2015 as a whole was the unveiling of Rusty Slammington. SEMA set the date, and H&R set the stage for an unveiling I'll never forget. While the car's completion will likely be the highlight of 2016, 2015 will be forever marked in my mind by this special, defining moment, accompanied by all of those who made it possible. My favorite classic of the year was easily Christian Heine's gorgeous E9. There hasn't been a car to instill a sense of regret quite like Christian's car, which is certainly understandable. Selling my own E9 has never been a choice I can say came without any regret, but it's Christian's E9, in its entrancing beauty, has only increased that sensation. But enough about me... Christian Heine's E9 is just about perfect in every sense, which means it comes as no surprise to see it as one of the year's most popular feature cars. It seemed only fitting to end the list with the year's final feature shoot: Rilber Li's Audi A4 Avant. Rilber's car served as a great end to a great year, and leaved me excited with wonder and anticipation with what 2016 will bring. 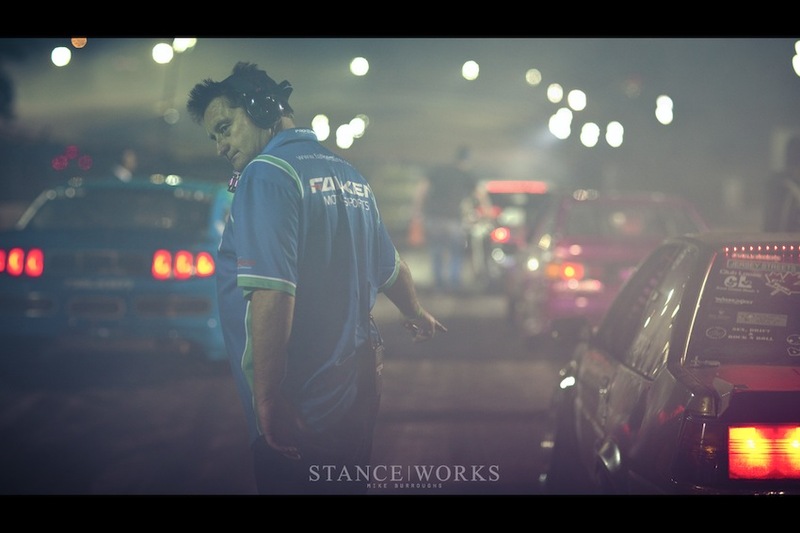 To Rilber, everyone else in this list, and every reader, fan, and friend of StanceWorks, we thank you for a phenomenal year, and wait in anticipation for yet another. You guys expanded your horizons this year beyond just the traditional stanced cars. I absolutely appreciate and enjoy the progression. At the same time though, you continued to feature some cars that remain true to your original roots and didn’t abandon your heritage. You’ve crossed over the line and have become a professional quality auto-content purveyor. Well done and thank you! @avidtest Thank you for the kind words and recognition! It’s good to see our mission recognized by our viewers.